Description Architectural grade projected window with integral and fixed-stack mull for minimum sightlines that mulls to 4-1/2" fixed and operable products. 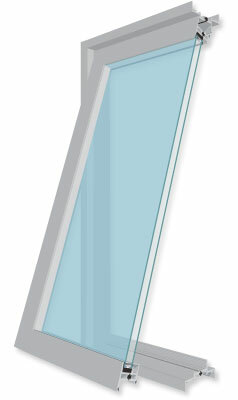 Description Architectural grade fixed window with integral and fixed-stack mull for minimum sightlines that mulls to 4-1/2" fixed and operable products. Description Architectural grade casement window with integral and fixed-stack mull for minimum sightlines that mulls to 4-1/2" fixed and operable products.